A day care at Santa Monica High School was shut down today because of a baby who contracted measles. The toddler, who is under 12 months old, was enrolled in the Samohi Infant Toddler Center at Santa Monica High School, which serves families of staffers, students who attend the high school and community members. A letter was sent out to parents of children enrolled in the day care this weekend, Santa Monica-Malibu Unified School District spokeswoman Gail Pinsker told City News Service. The day care is not sure if they&apos;ll stay closed another day, but they&apos;re working with the Los Angeles County Department of Public Health. The high school has remained open in the meantime. The age of the baby with measles is worth noting: infants typically don&apos;t get the MMR (Measles, Mumps Rubella) immunizations until they&apos;re a year old. 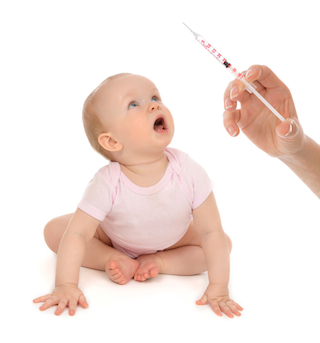 Babies and others who aren&apos;t able to get vaccines rely on herd immunity. That means if enough of the general population is vaccinated against the disease, they&apos;re not likely to be exposed to it. Measles had been declared eradicated from the U.S. population in 2000 but herd immunity is on the wane with an increasing number of parents—who tend to be wealthier and believe natural living is a panacea—are opting out of vaccinating their kids. An outbreak at Disneyland in December brought the disease back stateside. So far there are 102 cases linked to the Disney outbreak and President Obama is calling on parents to vaccinate their kids. Parents of students who have weakened immune systems, like this gal with leukemia, have tried to guilt fellow parents into getting their kids vaccinated. Most people survive measles unscathed, but some who come down with it could die or suffer from brain swelling or other complications.